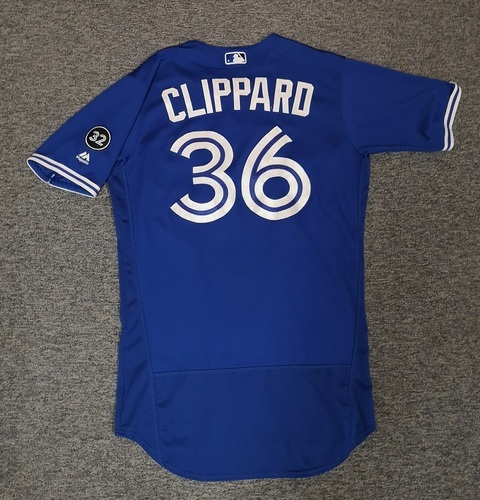 Authenticated Game Used Jersey - #36 Tyler Clippard (March 31, 18. June 9, 18: 0.2 IP, 0 ER, 1 BB, 2 Ks). Size 42. Reference ID: jays101 What’s this? 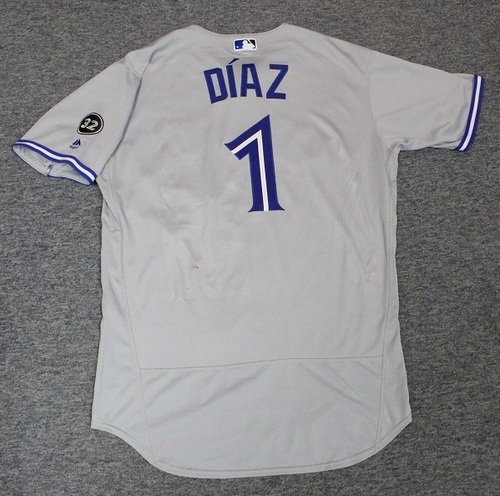 Authenticated Game Used Jersey - #1 Aledmys Diaz (June 12, 2018: 1-for-4. August 2, 2018: 1-for-1 with 1 HR, 1 Run and 2 RBIs. 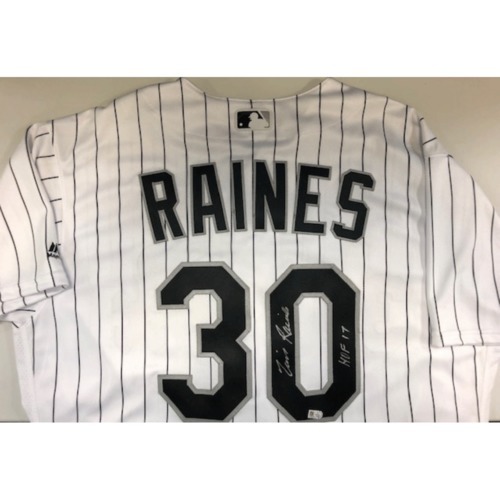 Aug 4, 2018: 2-for-4 with 1 HR, 1 Double, 2 Runs and 1 RBI). Size 46. Reference ID: jays102 What’s this? 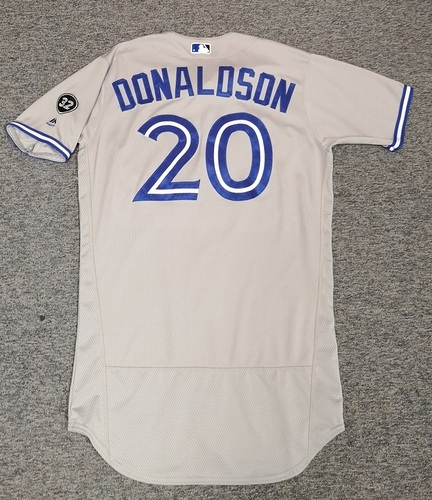 Authenticated Game Used Jersey - #20 Josh Donaldson (Apr 6, 18: 2-for-5 with 2 Runs and 1 RBI). Size 44. Reference ID: jays103 What’s this? 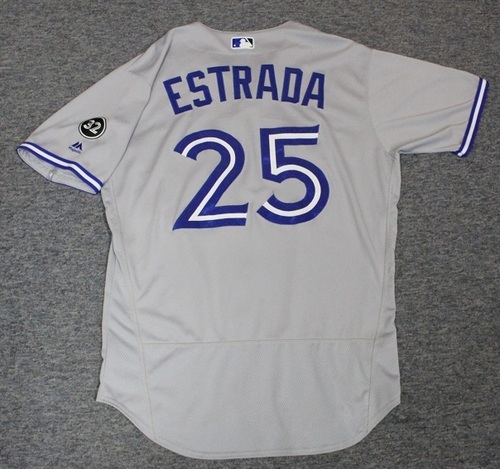 Authenticated Game Used Jersey - #25 Marco Estrada (June 22, 2018: 7 IP, 3 Hits, 2 ER, 2 BB, 7 Ks. Aug 4, 2018: 7 IP, 1 Hit, 1 ER, 2 BB, 4 Ks. Winning Pitcher). Size 46. Reference ID: jays104 What’s this? 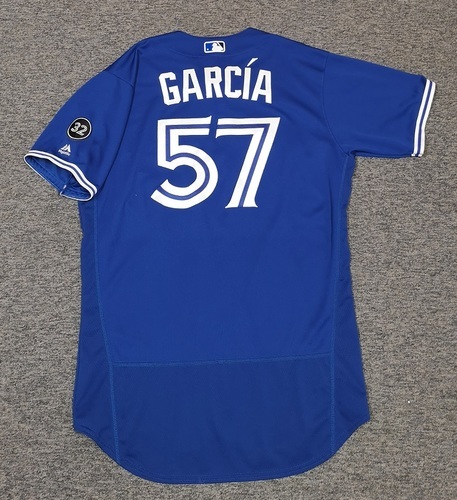 Authenticated Game Used Jersey - #57 Jaime Garcia (April 28, 2018: 5 IP, 4 Hits, 3 ER, 4 BB, 5 Ks. June 9, 2018). Size 46. Reference ID: jays105 What’s this? 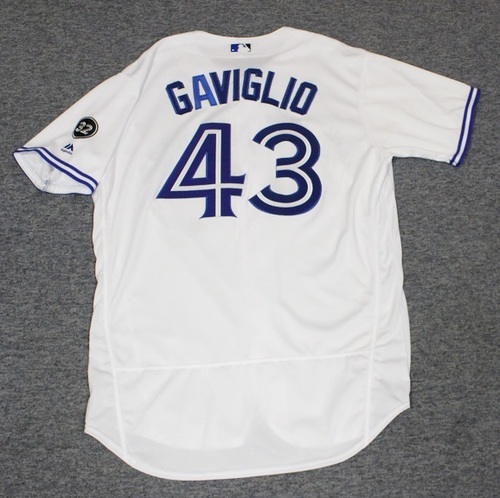 Authenticated Game Used Jersey - #43 Sam Gaviglio (May 11, 2018: 3 IP, 1 Hit, 0 ER, 3 Ks. Winning Pitcher). Size 48. Reference ID: jays106 What’s this? 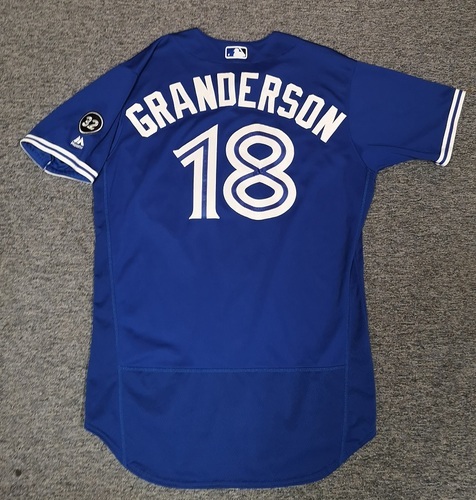 Authenticated Game Used Jersey - #18 Curtis Granderson (June 9, 18. June 25, 18: 2-for-4 with 2 HRs, 2 Runs and 2 RBIs). Size 46. Reference ID: jays107 What’s this? 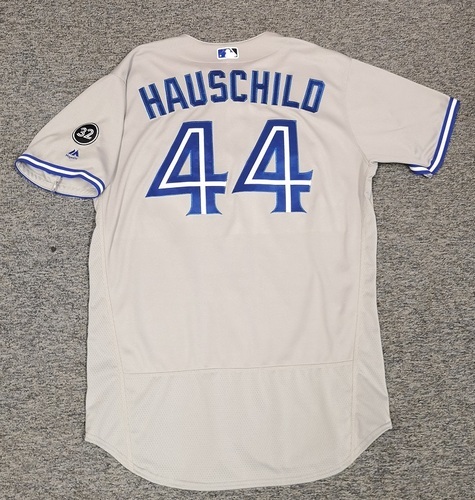 Authenticated Game Used Jersey - #44 Mike Hauschild (Aug 2, 18: 6 IP, 4 Hits, 0 ER, 1 BB, 5 Ks. 1st MLB Win). Size 48. Reference ID: jays108 What’s this? 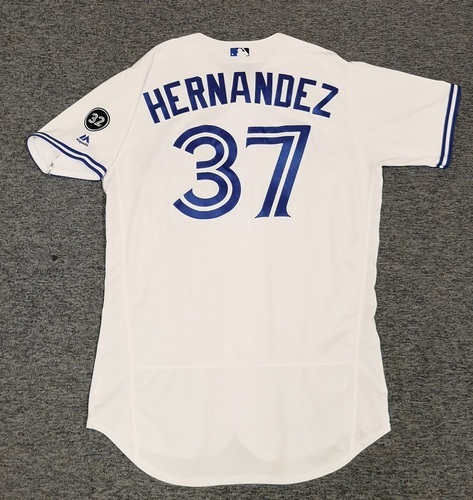 Authenticated Game Used Jersey - #37 Teoscar Hernandez (May 23, 18: 1-for-5 with 1 Double. June 5, 18: 1-for-4 with 1 HR, 1 Run and 1 RBI. June 17, 18: 3-for-4 with 1 HR, 1 Run and 1 RBI). Size 46. Reference ID: jays109 What’s this?